About Scholarship: The candidate should be aware that this scholarship is the University’s investment in the sustained growth of an individual and the betterment of a community at large. The candidate should indicate how she will use the studying abroad experience and the postgraduate qualification to locally or globally promote holistic transformation, facilitate equal access to opportunities for all, and encourage a peaceful, reconciled and empowered population in her home country. Preference will be given to a candidate who has shown evidence of upholding the ethos of the Gbowee Peace Foundation Africa through sustained personal growth, involvement in community development, and a strong commitment to the advancement and education of women and youth in her home country. The applying candidate should address how she hopes to become involved in University or local societies, activities, and/or organisations, and how she will support discourse about issues women face globally. 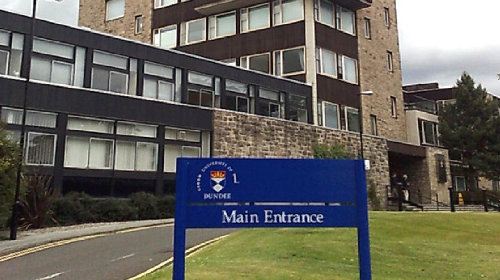 Now that all the information about Gbowee Peace Foundation Fully-Funded Scholarship for Female Students from Africa at the University of Dundee has been delivered nicely; talented students who are eager to pursue their Free Tuition/Scholarships/Study in Scotland for Bachelors, Postgraduate, Masters, PhD, Associate Degree and Other Degrees, can apply now.